Wagner's Goetterdaemmerung completes the operatic tetralogy 'The Ring of the Nibelung', an allegory of greed and power set to addictive music of considerable complexity. In a nutshell: Siegfried, after rejecting his betrothed Bruennhilde, succumbs through Hagen's treachery to the curse Alberich has put on the ring, whereupon Bruennhilde returns the ring to the Rhine and causes the destruction of Valhalla, the new home of the corrupted gods. The Goetterdaemmerung broadcast from Melbourne (13.12.13, the final night of the third Melbourne cycle) is very disappointing so far, not matching up to the hype at all. Pietari Inkinen's orchestral opening had no mystery. Tired, unruly, small voices were not able to convince in the Prologue. The orchestra was much too prominent. Siegfried's horn call lacked boisterous enthusiasm and the performance of his Rhine journey by the orchestra was pedestrian. Hagen and Gunther have redeemed things vocally somewhat in Act I and the blood-brotherhood duet between Siegfried and Gunther was powerfully delivered. Bruennhilde's sister Waltraute (Deborah Humble) at last injected some drama into the proceedings. I am hoping for mystery at the beginning of Act II. In the event, at least on the radio, Warwick Fyfe as Alberich has a live presence, no figment of the sleepy Hagen's imagination. He makes Alberich's complex music portray sharply the dwarf's dangerous and elemental nature. Hagen's famous call to the vassals was tremulous, but introduced real excitement into the wedding and revenge scenes. Susan Bullock as Bruennhilde sounded genuinely shocked and distressed. Barry Ryan's regal anger as Gunther was also evident. The revenge trio was a vocal and dramatic climax to the Act. Superb singing from the Rhine maidens at the beginning of Act III. Apparently, they are dressed like Follies; I think I am glad I can't see the production (I'm watching The Ashes cricket concurrently, with the TV's sound off). Siegfried's Erzaehlung is going very well (I'm taking a leaf out of a cricket commentator's book); Stefan Vinke has now warmed up vocally, and the orchestral accompaniment has receded into the background: perhaps he's right at the front of the stage. Hagen's 'Meineid raechte ich' descended totally into melodrama, but Vinke has restored the intensity with the conclusion of his monologue. The orchestra have at last excelled themselves in Siegfried's funeral music and Susan Bullock has found opportunities for a chamber-music restraint, rich with sorrow. Her Immolation is shaping up to be the emotional and vocal high point of the performance. The orchestral playing at the conclusion, offering hope for the future of mankind, is powerful and convincing. What a trajectory. Rather like Australia's first innings in Perth. By Antony Ransome - Antony Ransome, opera singer and writer. Opera's roots are firmly European. 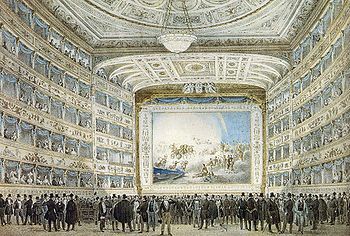 The very first opera house, actually a theater designed to host opera performances, was built in Venice, Italy in the 1630's. Composers of the day were mingling dramatic stories with music that ebbed and flowed. Audiences clamored to experience this blend of music and literary art on stage, and thus opera was born. In those years, singing and dancing were commonplace at most public gatherings. Due to the size of crowds, strong powerful voices were recruited to perform certain singing parts, both male and female. In time, singers were specifically trained for operatic performances, a practice that continues to this day. As the 17th century dawned, the popularity of opera spread to other European countries, like France, Germany, and England. Indeed, some of opera's most famous works come from composers not native to Italy, like Mozart, Richard Strauss, and Georges Bizet. As a land of immigrants, it is only natural that those coming to the United States brought along their skills and passions. Certainly, this is clearly most evident in New York, where the Metropolitan Opera House opened in 1883. Opera spread to other cities across the country, and audiences filled theaters nationally. Later, well-known opera master like Enrico Caruso, Maria Callas, Luciano Pavarotti, and Giuseppe Di Stefano displayed their unique talents to a vast and appreciative American audience. Opera continues to attract and enchant, witnessed by the fact that 135 opera companies operate in the United States today. Recently, there has been a surge in opera's popularity, as these innovative companies reach out to those unfamiliar with this musical style. An inclusive educational approach has taken hold and broken down some perceptions that opera is only for the elite. Casual informative lectures, subtitles, and relaxed dress codes are just a few strategies opera companies use to attract attendees. Most importantly, many of these same companies have developed training programs for young singers. Many of these young artists are now performing and thriving in venues across the country. It is hoped this continuing education approach will keep opera thriving and vibrant for generations to come. Opera is an entertainment style involving combined with orchestral music and singers who perform with characteristic classical method top project their voice. Besides being trained in singing, the Opera performers are also trained in stagecraft. Opera was invented by a group of actors the mid-1500s in the Italian city of Florence, they were actually performing classical Greek theater. In addition, these actors were noble men educated in Latin and Greek. The music style played in original Greek plays was quite simple with only a handful of instrumentalists playing flute, drums and lyre. Fuller instruments often had drowned out the voice of the performers leading actors to develop techniques for amplifying the voice. This helped the singers to sing their parts. Singing allowed performers to project their voices further during the renaissance time as it was changing from religious austerity to more creative endeavors. This new style of theater was becoming popular by the end of the 16th century. New productions especially are written for singing with accompaniment started appearing. The De Medici family in Florence paid a composer Jacopo Peri for the very first opera entitled 'Dafne' in 1598 performed in their private court. Unluckily much of the score was lost but it still has a place in the history of opera. After few years, opera spread from Florence to the rest of Italy, German Principalities, far west as England, north to the Austrian Empire, Spain and France. Florence and other great Italian cities like Venice, Rome and Milan dedicated opera houses started to be built and tickets for performances sold. Venice took the lead starting in 1637 eventually becoming the spiritual and cultural home of opera. One of the fathers of opera, Claudio Monteverdi took the decision early in his operas to add short performances within his works that were designed to appeal to a wider audience. Ultimately these short pieces were dropped as the crowds started to appreciate full length opera without interruption. The growing demand for opera created different schools of thought on the nature of opera. Some composers preferred complex subtexts and interwoven plots while others preferred a modest approach. As opera productions generally told the story of love, many characters appearing on stage were of course meant to be women, but renaissance society frowned on female actors which led all actors being men. This situation encouraged castrated men from all over Europe and the Arab world to make their way into the theater. The language of original operas was written in the Italian of the great cities such as Florence and Venice. However, Opera proved popular in other languages and has been able to transcend the language barrier to become popular elsewhere in Germany and France. In the 20th century, English operas became very popular. English opera had developed wholly different directions after getting banned during Cromwell's reign. After the return of the monarchy, opera prospered again but opera buffa proved more popular which led to a clearly English style of opera humor. European immigrants in the US brought the love of opera with them and passionate Americans adopted the opera quickly as their own. In New York, the Metropolitan Opera company in the 20th century was leading in the development of modern opera providing a base for modern opera to flourish. Italian opera is the earliest known opera form. Although the Greek and Roman Theater had inspired it, it inspired many countries around the world, including most of Europe. Some say that the word opera has been derived from the Italian words “Opera in Musica” which means work in music. The evidence of the very first opera performed in Italy was at the wedding of Marie de Medici and Henry IV of France. The Italian opera had three stages namely the baroque, the romantic and the modern. Baroque period is the name of that period of Italian opera that originated in Italy at the beginning of the 17th century. The voice used was very high pitched along with the instrumental music. This style was known as monody and was developed by Giulio Caccini and Jacopo Peri. It was reflected in the opera Euridice that was based on the story of Eurydice and Orpheus. When there were no dialogues during the performance, there were songs with music. This type of opera inspired many other writes, one of them was Claudio Monteverdi who wrote La Favola D’Orfeo that had the monody style. It was his first play and it still is famous with the audience today. Monteverdi worked hard on synchronizing instrumental music with the words and showed this effort in Mantua, with large choruses with nearly forty instruments that created a really good effect. He was named as the Maestro Da Cappella in Venice in the year 1613. The first opera house for the public was opened in the year 1637. Monteverdi wrote many compositions for this theater and his works L’Incoronazione di Poppae and I Ritomo d’Ullise in Patria were prominent out of the many. He even brought the Bel Canto and Buffa styles into Italian opera. Bel canto had a more even tone and eased the singing stress. Buffa had more comic touch with amusing and mocking elements. All these acted as the stepping-stone for many other later composers. At the end of the century, there were three hundred and fifty opera created for the theaters in Venice alone. Many young artists were inspired to work in these theaters and bring out their talents. People came from outside Italy too. In the 19th century, romantic opera began to rise and Gioacchino Rossini was responsible for it. The romantic opera involved lots of emotions and imagination along with lots of music and arias. This music was so fine that it overshadowed the blunders in the stories. His composures such as La Cenerentola and Barber of Seville are famous till today. Many others such as Vincenzo Bellini, Giuseppe Verdi, and Gaetano Donizetti followed him. Giuseppe Verdi changed the way opera was written at that time. Nabucco was his first work and it was a very big success because of the great choruses along with enormous liveliness in the music. He even wrote Va Pensiero, a chorus presentation to inspire the warriors at the time of Italian independence struggle. The works, which followed this had a more patriotic theme and were also based on older romantic works. He began to venture into different musical forms and finally his creation Otello replaced Rossini’s opera. His last work Falstaff finally changed the conventional form of theater and made music and words more free-flowing. The truth is that to "make it" as a professional opera singer involves a lot of studies, practice, and dedication and most professionals will not set foot on a stage until they have been training for at least 10 years. Whether an opera singer is preparing for a live opera performance, opera gala, singing at a wedding, providing operatic entertainment for a corporate event or doing a Singing Waiter performance or 'gig' (as it is called in the profession), there is a lot of preparation that takes place beforehand in order for the performance to come across as effortless, stylish and enjoyable to an audience. If an opera singer is singing in an opera, they often know well in advance what they will be performing, as well as when and where they are doing it. It can sometimes be as long as a year or more in advance of the performance that an opera singer will be offered a role. This gives them ample time to prepare for it; learning the music, the words (which can be in several different languages) researching the character, time period and anything else they need to do to feel polished and prepared. However, sometimes it can be a completely different story. A singer might fall ill, and suddenly the singer gets a call asking if they can step in at short notice. This could happen months, weeks or even days in advance. Sometimes, it even happens on the day itself! Many well-known operatic names have got their "big break" this way. When an opera singer performs in an Opera Gala, at a wedding, corporate event or Singing Waiter performance, it is much more usual to rehearse and perform on the day of the performance. Often they are very familiar with the repertoire, and sometimes they arrive and the first time they perform that particular programme is on that very day. When an opera singer does these one-off performances, it is much more likely they have had to step in at the last minute, so they have to constantly make sure that their sight reading is up to scratch! Doing a job as a Singing Waiter is quite easy in some respects, as an opera singer doesn't need to worry about costumes as they are dressed as waiters. The same goes for Christmas carol singing, where they normally perform in traditional Christmas Carol outfits. For corporate entertainment performances it can be anything; from Singing Waiters to full opera gala costume. At times a corporate entertainment performance will have a theme in the sense that the client wants a certain "look" whether it is traditional gala dresses or "Phantom of the Opera" theme. It all depends on what the client wants. Whatever the occasion, rest assured that an audience will always be enthralled by their magical singing! Visit http://www.operabespoke.co.uk/singing_waiters.html for more information on singing waiters as surprise entertainment for corporate events, weddings and private parties. Australia is easily among the most popular tourist destinations around the world, offering travelers everything from a vast wilderness to explore, and wonderful modern cities teeming with culture. As a huge country that is sparsely populated yet is among the first ranks of the developed nations, Australia is a land of contrasts. The wilderness of the outback populated with dangerous and exotic animals is a sharp contrast to the cosmopolitan nature of cities like Sydney and Melbourne. Sydney is home to over 4M people - a significant portion of Australia's population. It is a beautiful city with much to do and a lot to see. You could take weeks and still not fully explore this magnificent city, but there is at least one sight you just have to see. That sight would be the Sydney Opera House. A landmark that is as famous and intrinsic to the city as New York's Statue of Liberty, the Opera House ranks constantly among the most photographed destinations in the world and is considered among the seven modern wonders. The Opera House was designed as an embodiment of Australia and all that Australians stand for - boldness, strength, passion and a lust for life. Its architecture, thoroughly unique and evocative, invokes these very same qualities. What adds to its charm is its location. Situated at the edge of the Sydney Harbour, it offers a breathtaking view of Sydney and is a photographer's dream come true. At night, it lights up the entire coastline and is a sight to behold. Once you are through admiring the architecture of the building, you may want to step inside to see some of the world's best opera singers perform live. As one of the premier opera houses in the world, it frequently stages some terrific productions. Whatever you do, if you visit Australia, make sure that you at least catch a glimpse of the Sydney Opera House. It will bring out your inner talent for photography and give you memories worth cherishing a lifetime. In the 1600s Opera started to flourish in Italy. French opera was popular for adding the element of dancing to opera other than the already existing elements such as singing and music. In Italian, opera means works and in Latin, it means the plural of labor. This means that there can be a duet, trio, and group singing. It also utilizes various aspects of the spoken theater, like costume and backdrop. Greek was the first known theater artists especially people from Athens. Their theater plays included all the elements like acting, dialogues, singing, scene, dancing, chorus and music. This art was cultivated by different civilizations having few or all the elements. One of them was the opera. The western classical theater arts which involve conveyance through singing and dancing and not through dialogues is known as Opera. 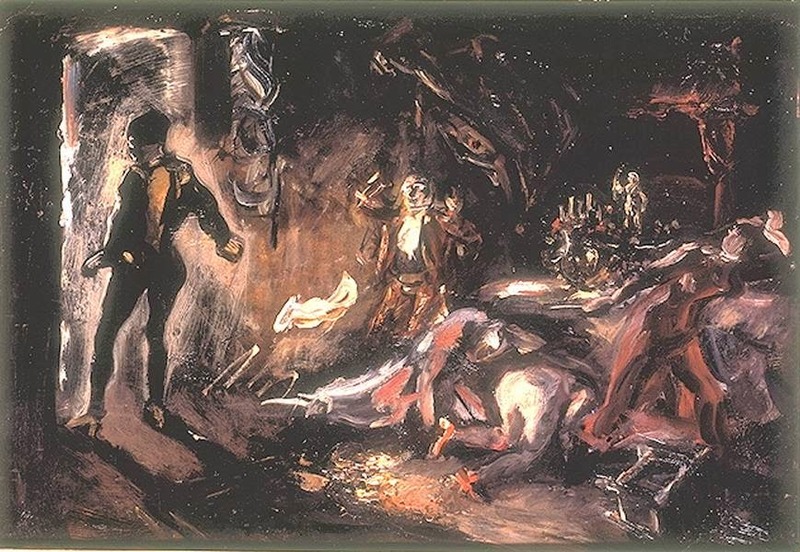 Composition by Jacopo Peri, Dafne, was written in 1597 and was the first known composition specifically meant for opera although it was inspired by Greek theater arts, it no longer exists. Euridice composition by Peri wrote in the 1600s was the first recorded composition which is available till this date. The performances are most of the times accompanied by chorus and instrumental music. The libretto is the word in opera and there have been great composers who have written famous libretti like Richard Wagner. 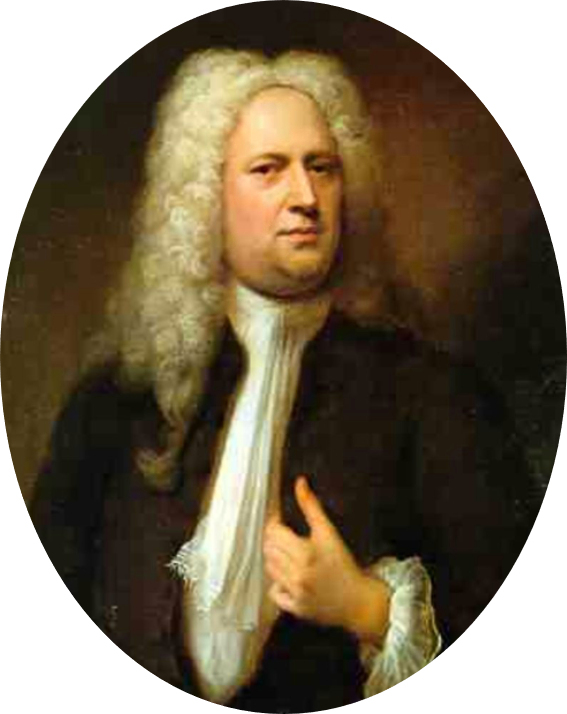 Handel was the famous German composer who wrote for theaters in England. Mozart and Lorenzo da Ponte are famous for the great musical works which were played during the opera performances. There are two types of singing in opera. The first is recitative in which the story is being narrated in a non-melodies style and the second is an area, where the performers were more melodious. Chorus is used as a commentator and sometimes as a narrator. Subcategories of recitative are secco or dry recitative and Accompagnato or stromentato in which orchestra accompanies the performance. Opera can be further classified as a singspiel, operetta, semi-opera and opera comique. In these types of opera, dialogues are used on the contrary, instead of recitative. Arioso too is replaced by semi-melodic passages. Opera started with court performances and then shifted to royal theaters. In 1637 this performance was open to the public when the idea of opera festival in Venice was brought up by Monteverdi. It was then known as Baroque opera which had a mixture of both the tragic and comic elements along with some education. This started a reform which was promoted by Venice’s Arcadian Academy. Metastasio was a part of this academy and his libertti became famous till the end of the eighteenth century in Italian opera. And this mixed with baroque opera was known as opera buffa. The characteristic of Opera Seria is that it had a high tone along with secco kind of recitative. It was greatly liked due to it highly stylized form and the singers at that time were very popular and Opera Seria was in great demand all over Europe except France. The hero had the castrato voice such as Farinelli and Senesino and the heroines had the soprano’s voice such as Faustina Bordoni. Alessandro Scarlatti, Porpora, and Vivaldi were some of the great Opera Seria composers. But Opera Seria had few loopholes. It concentrated more on drama and left music, singing, and ballet behind. It was Francesco Algarotti who brought all these elements back with his composition Essay on the Opera. He was then followed by other great composers such as Niccolo Jommelli, Tommaso Traetta and the most successful, Gluck. 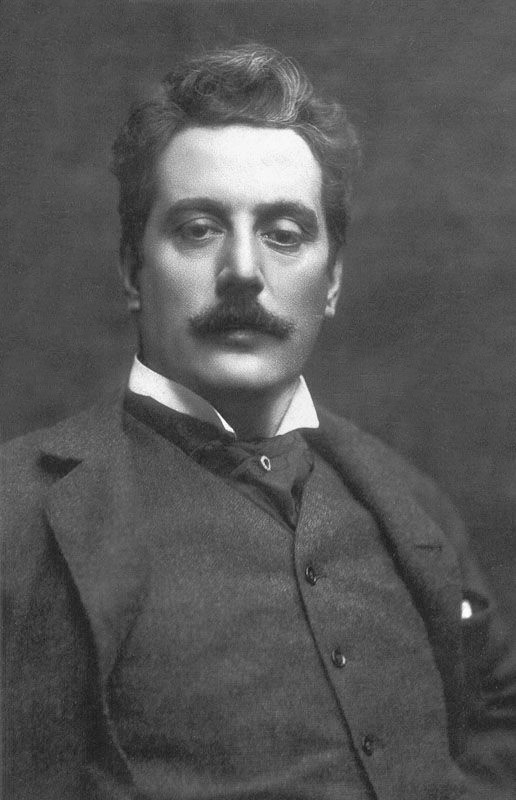 He used a rich orchestra and vocal lines and brought a reform in Opera Seria. The Beijing Opera, with its distinctive Chinese opera masks, is one of China's most recognizable cultural icons. Combining Music, Dance, Theatre, and Martial Arts, it has existed for over 200 years portraying Historical Events and Literature with beauty, style, and dynamic performance. It is most prominent in Beijing, but almost every Province in China has some form of Opera theatre. With its elaborate costuming, complex musical orchestrations and seemingly limitless Make-up and Mask designs, the Beijing Opera is seeing revitalization in popularity with both young and mature audiences. 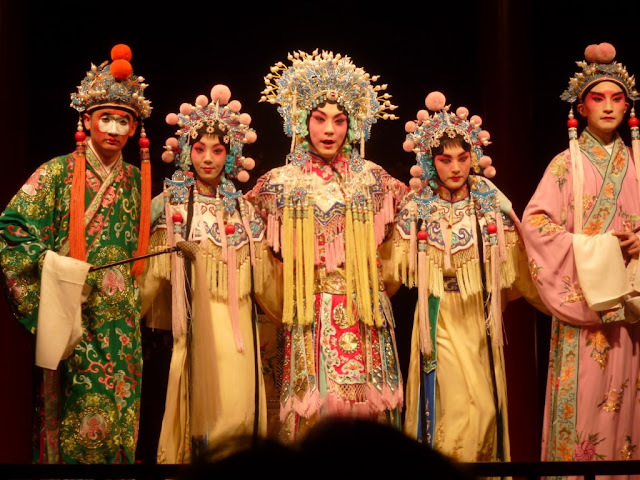 What is now called the Beijing Opera originally came from a combination of several sources. In about 1790, four great theatre troupes from Anhui came to perform for the Royal Family. They brought arias and melodies called Xi Pi. Around 1828, performers from Hubei came to the same area and staged combined shows adding their local pieces of music called Er Huang. These performances were for the Royals but soon were to become more mainstream during Emperor Qianlong's reign as well as support from the notorious Empress Dowager Ci Xi. During this time, thousands of pieces of repertoire were developed covering the historical events, classic novels and stories of China as well as revisions of Western stories. There are four basic categories of characters in the Beijing Opera style. · SHENG- The main Male actors in a performance. Either civil or military, there are several different aspects of training for the various lead male parts. i. LAO SHENG- Senior Male roles, middle-aged man with a beard of black, grey or white. A soft or pleasant voice with dignity. ii. XIAO SHENG- Junior male role or young man. No beard and a high sometimes shrill voice that may, on occasion, crack denoting immaturity and adolescence. iii. WU SHENG- Acrobatic male roles or roles that require much activity. Military plays or civil plays that demand high standards of acrobatics. Performs the stylized martial arts fight scenes with sword or spear. Not usually trained as an opera singer. iv. WAWA SHENG- Kids and children roles. DAN- Female roles of several categories. i. QING YI ( Ch'ing I)- Lady of good character. Quiet gentle disposition. Graceful flowing movements in "water sleeves" costume. Elegant but not vivid. The singing voice is high pitched. Yi. Coy and quick movements. A very difficult part to play. Attractive eye movements and continually changing facial expression. 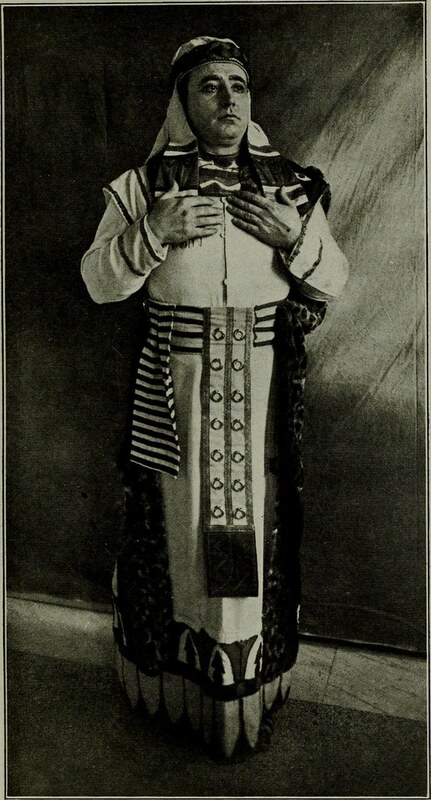 Vivid costume featuring handkerchief to flutter in her hand. Strong voice but more speaking than singing. iii. GUI MEN DAN (Kuei Men Tan) - Young unmarried girl. This role may turn into Qing Yi or Hua Dan. Mischievous but not as much as Hua Dan. Immature reactions and movements. iv. DAO MA DAN (Tao Ma Tan) - Female Warrior role. Trained for acting and singing but performs highly skillful martial movements often with a feathered headdress. Still a very feminine role. The now-famous role of Disney's "MULAN" was based on Hua Mulan who disguised herself as a man to prevent her father from being conscripted into the military. She served for 12 years during the SouthNorth Dynasty and was decorated as a national hero. v. WU DAN (Wu Tan) - Female Acrobatic roles. Steps into any role that requires high acrobatic ability. Purely an acrobat but role can demand a talented actress to make for a successful performance. vi. CAI DAN (Cai Tan) - Female Comedians. Serves to add relief to stressful scenes in serious plays. See also CHOU roles. · JING- Painted face male roles. These parts are known more for courage and resourcefulness than for scholarly intelligence. Often a high-ranking general or warrior/official. Jing actors are usually extroverts. A robust, sometimes gruff, bass voice. Full of swagger and self-assurance. There are many common color schemes associated with Jing roles but some of the more common are easily recognizable. v Red- Good character and virtuous person. The facial painting patterns also give information about a character. There are hundreds of patterns and designs for many situations and roles. ii. JIA ZI- (Chia Tze) - A very good actor for more complicated characters. iii. WU JING- Fighting and acrobatics. Seldom plays a prominent role. Of special mention should be the popular role of SUN WU KONG -The Monkey King. This is a famous story of a Monks journey from China to India to collect scriptures to bring back to China... He is usually accompanied by a Pig for comedic effect, a not-so-learned monk to mediate the many quarrels and the Monkey King. This is played by a Wu Sheng actor. Known for the bent knees and an arms forward stance that imitate monkey movements. He has mastered Longevity, the 72 transformations of his physical body and can do somersaults in the clouds. Sun Wu Kong is followed by a troupe of monkeys who behave in the same manner but have individual personalities (greedy, naughty, sleepy, etc.). The Monkey King continues to be one of the most popular storylines in all of Chinese Opera Theatre. The Opera Theatre form suffered during the Cultural Revolution (1966-1976) when all traditional pieces were banned. New versions became stories concerning "Class Struggle". The "Eight Model Plays" were a very popular theme, as were stories concerning Communist Activities, Anti-Japan sentiment, and the Civil War against Nationalists. The traditional stories were allowed to be shown in 1978 but by then they seemed out of date and the productions lacked historical and theatrical knowledge. Audiences lost to more contemporary forms of entertainment were hard to replace with the exception of those who were children when the Beijing Opera was at its peak. Many who lived through the Cultural Revolution preferred the newer versions and still favor those melodies. Campaigns exist to bring back this lost art form as well as other Theatrical Arts. The Plum Blossom Award, sponsored by the Chinese Opera Journal, gives awards, judged by the Journal, to new artists. The actors and actresses must be under 45 years of age and come from all over China. These and other competitions are seen on the CCTV, China's main television network, and radio stations, particularly during the New Years special concerts. There has even been designated a Beijing Opera Month. 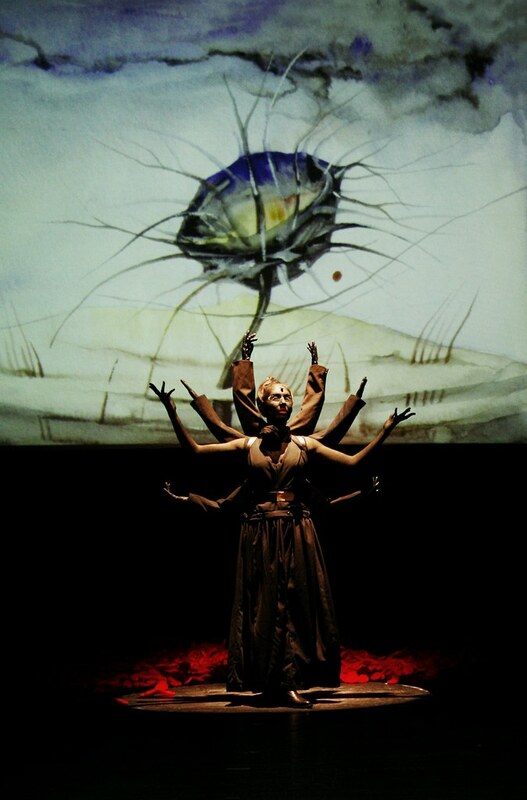 In recent years, performances worldwide of Beijing Opera theatre have brought this marvelous art form to broader audiences. It has served as ambassador to the West providing many new opportunities for people to enjoy a performance style that rivals any of the Grand Operas and Symphonies of Europe and North America.